Windows 7 RC (Release Candidate) was publicly available for free download on May 5th, 2009. Millions of people around the world are waiting to try the most anticipated Windows of all time, Windows 7. Now, its Beta users can get rid of Windows 7 Beta and install windows 7 RC. It will be available until July, 2009. The license will expire on June 1, 2010, therefore giving everyone to try Windows 7 RC for free, for about 10 months starting from May, 2009 now. 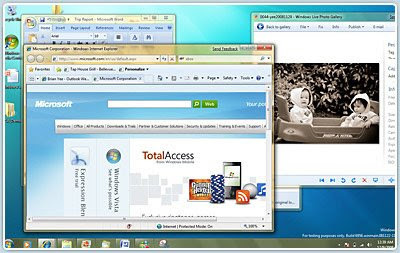 Some hightlights on Windows 7 included Improved taskbar and full-screen previews, Jump Lists, Desktop enhancements, Windows Search, Better device management, HomeGroup, and View Available Network (VAN). More information, refer to guides on Installing Windows 7 RC. Download it here when you’re ready. 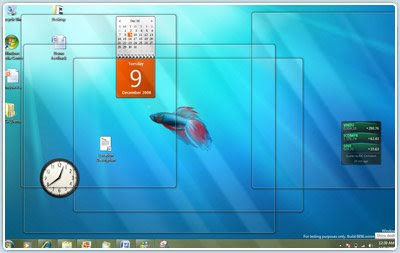 You might also interest to get COOL Windows 7 Wallpapers for Free.